The general elections held in the Democratic Republic of Congo on 30 December 2018 have descended into controversy and acrimony. Supporters of opposition leader Martin Fayulu claim that he won by a large margin but was rigged out as a result of a power sharing deal between outgoing President Joseph Kabila and the official “winner” of the polls, Félix Tshisekedi. Here, we share a distinctive and hard hitting take on the process from Christian Malanga, the president of the United Congolese Party (UCP). This transcript, which was shared directly with the editors via social media, has been published unedited. The elections in DRC were an illegitimate political charade to confuse and appease the international community into submission. Contrary to a transfer of power, the elections were a farce, masterminded to ensure Kabila’s continued control and power over the DRC. Kabila orchestrated an illegitimate win for Felix with his political advisor, and Felix’s campaign director, Kamerhe. This election has been postponed for over three years; Kabila has never intended to give up his seat. The true voices of the opposition have all been arrested or threatened or killed. During this year’s election process Kabila sabotaged the voting machines by causing two planes to crash and setting fire to the CENI warehouse. He had children register as voters and had the FCC bring the machines to their homes and offices to rig the results. He killed those who spoke out to end to this evil drama. He committed massacres in East Congo as a distraction. He barred millions of people from voting, using the threat of violence and Ebola as an excuse. He claims the postponement will be until the end of March 2019. The Congolese people are desperate for a better life with Kabila removed from politics, and are furious because they understand what the international community doesn’t: the election results secure Kabila’s power and thus guarantee the country will not progress. The election was a success for Kabila’s agenda. The strategy of destroying opposition candidates by divide and conquer was obtained in Kamerhe’s strategy for Kabila. The election is not a single event but a drawn out process for Kabila to consolidate power with Russia’s security apparatus. Kabila’s election results announced Felix the winner of the provisional results, followed by Fayulu. The FCC (Kabila’s majority coalition) obtained an absolute majority, and Kabila’s party PPRD maintains control over the National Assembly. Fayulu has called the election a ‘constitutional coup’ because he legitimately had the most votes, but will have little recourse to become President. His only option will be through the constitutional courts for a recount. The Constitutional courts are controlled by Kabila (FCC). If Fayulu chooses to bring a claim to the court, the courts have the ability to take three years to investigate and come up with a conclusion. The court also has the ability to nullify the election and start the process over. Kabila has orchestrated a plan to push Felix into power immediately to mitigate the risk of pushback from the African Union, the U.N. Security Council, and the European Union. The people have been disenfranchised because the opposition has been beaten, arrested, killed, and the opposition candidates have been delegitimized following the election. The agenda to cause the opposition candidates to destroy each other is working per Kabila’s plan. Fayulu called Felix a stooge and asked the Congolese people to wake up and engage the fight. Fayulu accused Felix of being a fraud who negotiated a backroom deal for the Presidency. Felix has been deceiving the people and colluding with Kabila all along. The backroom deal Felix negotiated with Kabila for Prime Minister was a strategy straight out of Mobutu’s playbook. Mobutu would take his strongest critics and would offer them a Prime Minister post to ensure his continued seat in power. Felix will named as President, though in reality he will have no authority nor autonomy. He is simply Kabila’s puppet. This deal between Kabila and Felix has been in the works from the beginning, when Felix came on the scene as a Presidential opposition candidate. Kamerhre, who orchestrates the political will of Kabila, negotiated the finalized deal where Kabila would control the Ministries of Defense, Finance, Justice, Infrastructure, the Central Bank and the Presidency of the Senate. The deal also states that Kabila would continue to live at the Presidential Palace. Felix’s campaign was organized and created by Vital Kamerhe. Kamerhe is the political brains to Kabila’s power. He chose Felix as his candidate. He ran his campain for the purpose to maintain the status quo of protecting Kabila’s power. 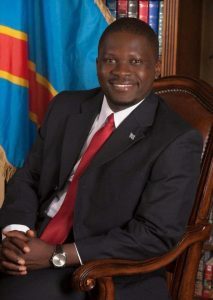 Kamerhe was Kabila’s campaign director in 2006. In 2011, in order to manipulate the will of the people, Kamerhe created a political opposition party: the UNC. His political strategy allowed for Kabila to stay in power in for 8 more years. Kamerhe came up with the strategy for Kabila to rig Felix as the winner of the provisional results. Kamerhe will use Felix as a means to his end, as Tshisekedi does not have the political skills to compete with Kamerhe and Kabila’s game of power, and in the process he will be destroyed. The Tshisekedi family sold out the DRC for their power and financial interests. Ettiene Tshisekedi built his political career under Mobutu, destroying the opposition. In 2011, Ettiene Tshisekedi divided the opposition, allowing Kabila to stay in power. In 2016, before he died, Ettiene made a backroom deal that allowed Kabila to stay in power past his term limit. Felix has sold out just like his father to keep the status quo at the expense of the Congolese people and the international community. Following the announcement of the provisional results, Felix Tshisekedi was quoted calling Kabila, “an important political partner”. Felix’s only relevance to DRC politics is his father’s name. Prior to the elections he had no business or political interests in the DRC. He lived in Europe where he never worked. He had a reputation for committing petty cash fraud crimes. When applying for his candidacy as President, he committed fraud by claiming that he had a diploma in Marketing and Communication at the Institute of Commercial Careers in Brussels. The institute has refuted his claim. This is ammunition for Kabila to delegitimize the results at the end of March if he deems it necessary to contain dissent and maintain control while he stays in power indefinitely. Currently the political elite are positioning themselves for advancement in Kabila’s government. Moise Katumbi, former Governor of Katanga, and a political creation of Kabila’s, financed, and controls Martin Fayulu’s political fame. Moise’s older brother and mentor, Raphael Soriano is currently a member of Kabila’s FCC coalition party. The Katumbi brothers are opportunists who have made their money stealing from Africa through illegitimate deals. They have a terrible reputation in Africa for doing fraudulent business. In November 20018, Katumbi organized the oppositional candidates to meet in Geneva to name a unified candidate. It was there that Katumbi chose the unknown Fayulu as his candidate who would act as his puppet. Katumbi utilized his PR machine to make Fayulu a household name in country and among the international community. Katumbi deceived the international community as well as the Congolese people with his political stooge Martin Fayulu, who in reality has no capability to run the country nor the military. Moise Katumbi has always been against legitimate elections. His hope was for the opportunity to negotiate a seat in Kabila’s new government to his ensure his financial interests in Katanga. Katumbi’s political creation has back fired. He underestimated how desperate the Congolese people are for Kabila’s exit, and how this in turn could make even a nobody like Fayulu gain mass support. This enabled Fayulu to become very popular and receive the most votes. Now Katumbi has less control of this candidate because Fayulu’s new taste of fame and the potential for Presidency will challenge his role as a puppet and thus stray from Katumbi’s control and agenda. Fayulu is playing a dangerous game where he is a pawn and has no capability to operate and run a country and it will lead to his demise. The people will not protect Fayulu because they lack loyalty for him, as their support for him was purely based on the hope that Kabila would be removed. The people of Congo want Kabila gone and are fed up with the so-called opposition pretending to have the interests of the people; when they clearly are representing their financial interests and Kabila’s political will. The country is at a turning point where it can become very violent and tribal feuds will ensue. Kabila has no plan to give away his powers and control of the DRC government, military, bank, and business operations. Kabila is preparing to consolidate and strengthen his Chinese financial partnership and Russia’s security apparatus. Soon he will bring Russian security into the country to ensure that he can continue his dictatorship. At the UN Security Council, Western nations tried to hold Kabila accountable, and Russia, China and South Africa hailed the elections and said that the results must be accepted. Russia’s Permanent Representative to the United Nations Vasily Nebenzia stated “the international community to avoid any interpretation and speculation that would be violations of the sovereignty of the DRC.” Russia is prepared and working diligently to protect Kabila’s agenda. Joseph Kabila is currently the single biggest liability to the interests of the Western powers. His power since office has increasingly relied on China and Russia for financial and military assistance. Kabila is a large agitator of western ideals and values. His agenda is to take financial and military aid from China and Russia while isolating himself from Western donors, NGOs, think-tanks, businesses and governments. 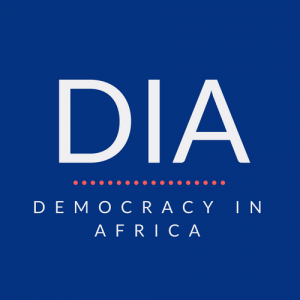 It is imperative that the DRC does not become another Syria. Kabila is being given time from his allies in the East to increase his stranglehold on the people and the region. Kabila’s ability to destroy the sovereignty and will of the people is a result of a corrupt and inept political opposition. The so-called political opposition has no desire to create good governance; rather their only interest lies in protecting the status quo of illegitimate government. Taking Kabila’s words for face value, when he has demonstrated nothing but dishonesty and deceit in the past, will be costly and detrimental, not just for Congo but on an international scale. Once all power is consolidated, China will have the ability to ensure that Kabila can kick out western businesses, allowing China to have a monopoly on the resources in the region. This will also allow China to implement its currency policy of trading futures entirely in Yuan while dissembling the power of the petrodollar in the region. It is imperative for Western nations to make new partnerships. Their old allies have switched sides and new actors have been created, as the battle has tipped in complete favor of Russia while isolating Western interests. DRC and its nine neighbors have been receiving military aid, military consulting, and a security apparatus from the Kremlin. This has caused a new culture in the region where the African leadership looks to Russia for advice, training, security, and a partnership for extracting resources. Many governments have spent substantial time with Putin discussing Russia’s agenda in the region and how to implement his policy. In the coming years Russia will have an over arching influence and power in East Africa and the entire sub-Sahara. Russia took the CAR crisis and allowed themselves to gain a monopoly of control. As the crisis ensued, CAR met with Russian leadership and was given a security apparatus as well as providing Russia with its mineral wealth and its influence regarding foreign policy. Russia, under the noses of the United Nations, sold arms, ammunition and provided training in 2018; which was followed by the government choosing a Russian to be national security advisor as well as Russian presidential guards. The transfer of arms is happening through Khartoum. Kabila has joined in on the Kremlin agenda. Kabila is receiving arms, security and training for mineral wealth. Again, transfer of weapons is happening through Khartoum. Kabila’s desire to stay in power indefinitely in order to get around sanctions has created a strong allegiance to Russia. Kabila’s administration has flown to Moscow to ensure they can create a mutually beneficial relationship based on security and mineral wealth. All technology relies on the resources in the DRC region. The ability to have controlling influence in the region will dictate the future of civilization. We must ask ourselves: will Western values and interests lose to authoritarian regimes? The region is growing confident it can succeed without Western foreign policy. Christian Malanga is businessman and former military office who is currently the president of the United Congolese Party (UCP). TEXT UPDATED JANUARY 22 AT 13:27. #PRESIDENTMALANGA is the only true opposition leader in DRC who can bring stability. Joseph Kabila has no intention in relinquishing his grip on power. The fine peoples of DRC are the real loser if this potemkin election result is allowed to remain binding by the Constitutional Court. DRC political social publics will be even more trenched within an ethos utterly profoundly transactional suggesting more degradation in DRC public institutions representing rule of law. The DRC Constitutional Court must make a decision on Martin Fayulu’s brief alleging electoral improprieties based solely on evidence, meaning CENI must provide to the Constitutional Court in public, all election results poll by poll which can then be explored in evidentiary cross examination attesting to electoral poll validity, or not. C’est sera vraiment triste if this DRC Constitutional Court elects to make a mockery of judicial process inclusive of evidence based judicial procedure. Parliamentary Representatives of Joseph Kabila’s Political Party have been declared by CENI in electing to the DRCongo Parliament the majority of membership meaning Joseph Kabila remains in control of DRCongo’s political infrastructure—‘meet the new boss same as the old boss’— lyrics by the Rock Group ‘The Who’. “Something is rotten in the state of Denmark”, a line from the play Hamlet, by William Shakespeare. An officer of the palace guard makes this comment after the ghost of the dead king appears, walking over the palace walls. “Something is rotten in the state of Denmark”, an expression used to describe corruption or a situation in which something is wrong. At minimum, DRCongo social publics would be far better served by an honest open tally of the votes poll by poll. Nothing less must be the joint and urgent demand of peoples of DRCongo, African Union, International Community, Catholic Church and all the people living and working in Africa who have been waiting for DRCongo to realize its enormous economic social civic civil potential. Church protest — The Catholic Church rejected the official result of Congo’s presidential election and the loser denounced a “coup”, dashing hopes that the country could stage the first uncontested transfer of power in its 59 years of independence. 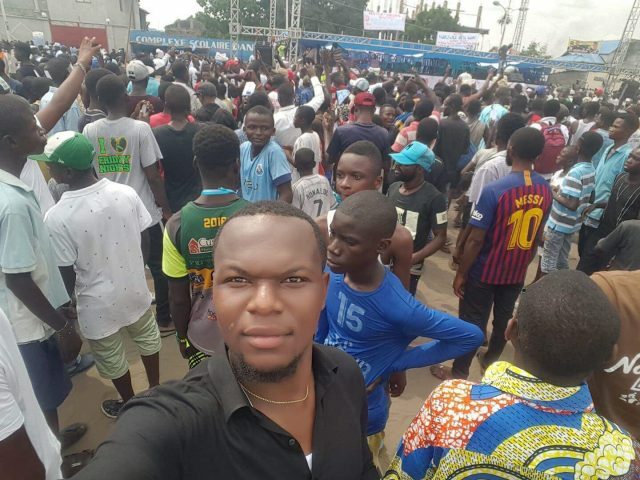 DRCongo Publics in need of a full complete Election ‘Do-Over’ under aegis of National Transition Authority providing CENI oversight ensuring reconstituted CENI Leadership is professional ethical ensuring an election grounded in procedural trust. This past December 30/18 DRC Election is in my judgement fundamentally compromised evinced in the disenfranchisement of over 1.2 million voters which I believe is a fundamental fiduciary breach in the implied social contract essential in sound election management demanding I suggest an Election Do-Over under aegis of reconstituted CENI Leadership professional competent ethical along being CENI Leadership not beholden to Kabila Cadre, whatsoever. An Election ‘do-over’ I submit is necessary if DRCongo long term state recalibration is to be effective positive prescriptive in minimal violence. Alas, the curse of fabulous riches in the ground and the poverty of the mind! No one in their right mind ever imagined that a man presiding over a country as rich as DR Congo, would give up power easily. The issue has always been about who controls the vast resources that lie at the feet of DR Congo; it was never been about good governance, democracy, human rights, justice or rule of law. It has always been THE PROBLEM in many African countries, and will remain so until such a time as we work out the greater question of how to manage meaningful change, without the destruction of both life and property.